“Idea” will come to the managers’ liking. The armrests of regulated height, fabric resistant to seating and support that is meant to remove tension from loins make this chair especially comfortable. The rotating chair is meant for the managing staff, while its static version will surprise the company’s guests pleasantly. 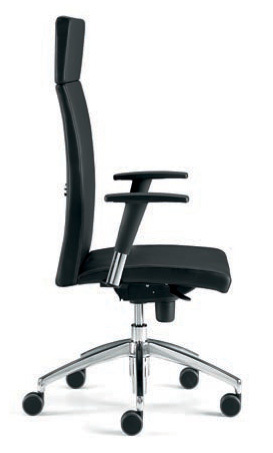 Similarly to all the “Moving” chairs, “Idea” has the leaning mechanism of two levers and the tension regulator. 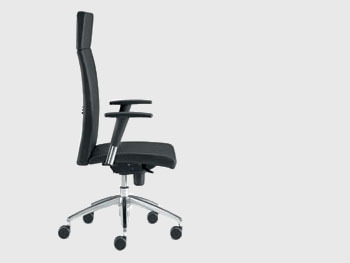 Other characteristics of the chair: support for head is filled with elastic polyurethane sponge, leaning mechanism of two levers with anti-shock device, foundation of five spokes of polished aluminum, and soft double wheels.